The best infographics simplify complex data and make it instantly intuitive, which makes this form of presentation ideal for cloud computing and its related topics. The following three infographics of the cloud computing landscape each explain its core concepts and market dynamics from a completely different vantage point. 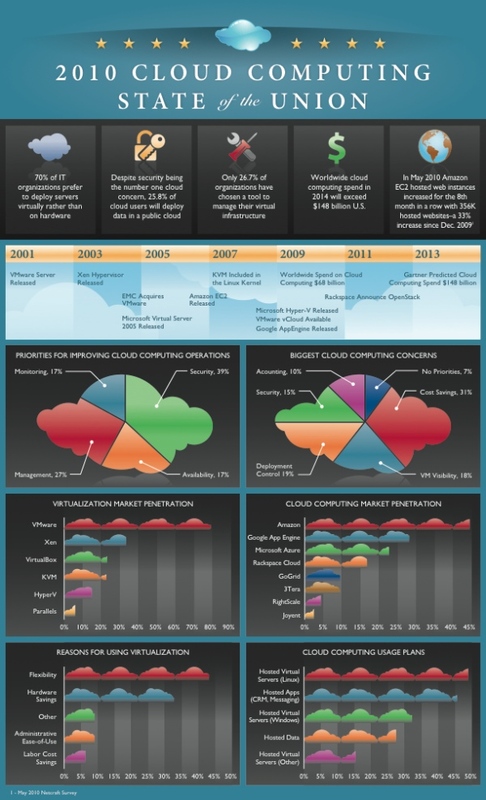 I found these over on Alex William’s post on ReadWrite Cloud titled 3 Infographics About Cloud Computing. 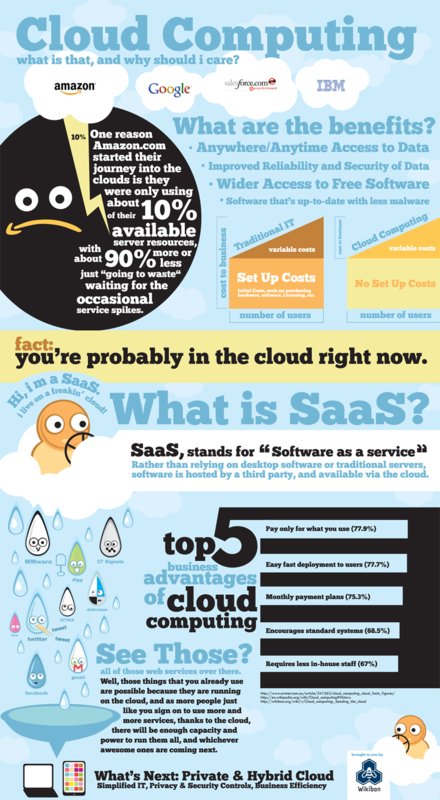 The company who provided this first infographic is Zenoss, a provider of cloud monitoring tools and services. The infographic does a great job of supporting their unique value proposition and position in the market – and delivers some excellent market data in the process. This is one of the more data-rich infographics on the cloud computing landscape in the enterprise. It’s from Cloud Hypermarket out of the UK. This company offers a £250 Start Up Service for anyone wanting to launch a cloud-based company with them. This very well-known and popular infographic is from Wikibon, a community of IT professionals who generate excellent content across a range of subject areas. They are worth checking out and following either through RSS feeds from their blog or on Facebook and Twitter.